A local developer renovates some rough buildings—and seeks housing for the residents he’s displacing. The hallways of Wilson Tower, a 12-story midrise at 1325 West Wilson Avenue, are dank and narrow. The stucco walls haven’t been repainted since the building was erected in 1931, and the carpets smell like mothballs. Down one hall, past an empty motorized wheelchair, an open door reveals an apartment that can’t be more than 300 square feet. A mattress rests on the floor, covered in trash and dollar-store trinkets. A few doors down, another small unit sits unrented. A lone lightbulb hangs from the ceiling. Behind a stove with food-encrusted burners, layers of grease serve as a caked-on backsplash. A long cobweb stretches from the fridge to the countertop; the door to the cabinet under the sink sits ajar, its hinges almost unscrewed. In a few months, a shiny electric range will replace the battered stove. The grease will be stripped, and subway tile put in its place. 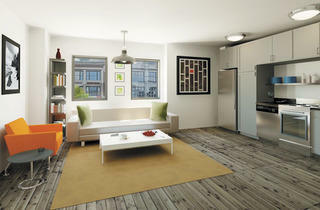 The unit will have a washer/dryer, a sleek new bathtub and light fixtures worthy of a home-design magazine. 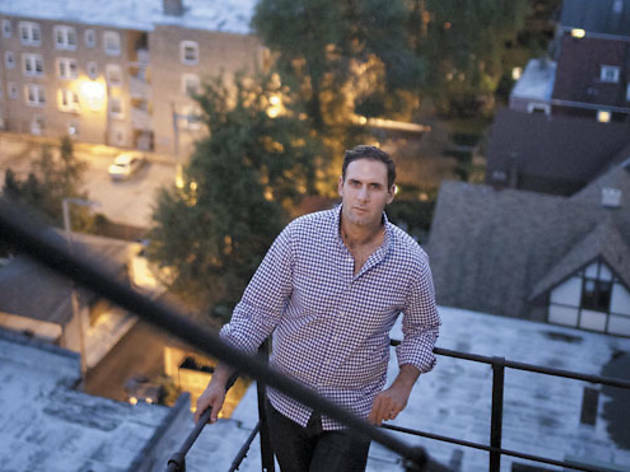 The man behind the redesign is Jay Michael, a 31-year-old real-estate developer whose company, Cedar Street, is pioneering a new frontier of housing in Uptown and Edgewater. Michael, along with business partners and childhood best friends Alex Samoylovich and Tom Kim, is buying buildings no other developer wants—abandoned properties in severe disrepair; foreclosed SROs with low-income tenants—and converting these dilapidated spaces into luxury rentals, all of which will operate under a new branch of Cedar dubbed FLATS. 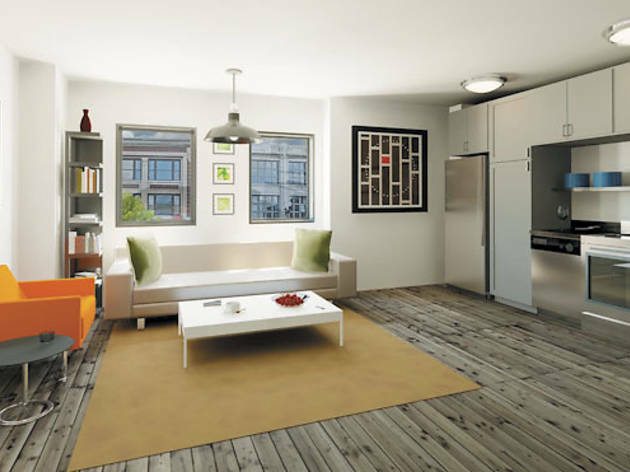 “Big style, smart space” is FLATS’ motto—smart being a more marketable code word for small. SROs, or single room occupancies, are typically prewar structures with tiny studio units; their indigent tenants traditionally share one bathroom and one kitchen per floor. Rather than knocking down walls, Michael will, with a few exceptions, keep the units their original size, putting the smallest FLATS apartment at 275 square feet. The average unit size, excluding a few multibedroom outliers: 350 square feet. That’s including a bathroom, kitchen and a place to sleep. Rents will range from the $700s to the low $1,000s per month. If Uptown’s gentrification were a movie, FLATS would be the sequel to the Target in Wilson Yard, the prequel to a new, $200 million Wilson El station. Yet Michael says he is dedicated to maintaining what he calls the “authenticity” of the neighborhood—and attempting to find new housing for the low-income residents he’s displacing along the way. Michael founded Cedar Street in 2002, right after graduating from London’s Richmond University with a degree in international communications. For the last ten years, the partners have focused on flipping foreclosed properties in more far-reaching neighborhoods like West Rogers Park and suburbs like Oak Forest and Elgin. Michael, a Gold Coast bachelor with a dimpled chin and boyish enthusiasm, explains this from his “secret creative space”—a makeshift office in the lobby of 5718 North Winthrop Avenue, a FLATS building scheduled to open in early 2013. (The other soon-to-be FLATS addresses, besides Wilson Tower: 5051 North Kenmore Avenue, 4875 North Magnolia Avenue, 5411 North Winthrop Avenue and 2478 North Clybourn Avenue, a one-off in Lincoln Park that will have larger units.) The space is still raw, with holes in the ceiling baring clusters of electrical cords. Inspiration boards are on every wall, pinned with everything from marketing material to floor plans. Michael has what he calls his list of “always,” or what must go in every apartment. That includes free Wi-Fi and a washer/dryer—Kim, who recently returned from a scouting trip to Asia, has found a stacked style as narrow as a dishwasher, and is also researching wall-mounted models. All FLATS buildings will have large common spaces, from rooftop pools to libraries, and will offer a bike-share program stocked with custom-built two-wheelers from Heritage Bicycle General Store in Lincoln Park. Michael also just closed a deal with CB2: The chain will outfit a model apartment at 5718 North Winthrop Avenue; tenants who like the look of it can have the same pieces put in their units before they move in. Michael hopes to sell singles on what he calls “FLATS life”: Common spaces are “an extension of your space” where you can meet neighbors or entertain friends. 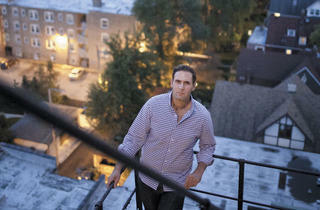 He and his business partners are also targeting recent college grads who are ready to live alone. “Not a lot of small units on the market have granite countertops, stainless-steel appliances, a washer/dryer,” Samoylovich says, which forces people who want those amenities to find roommates. For the same rent they’d pay for their half of a two-bedroom condo, they can live solo at FLATS. To preserve the look and feel of the neighborhood, the FLATS crew will keep original structures intact rather than building, say, looming glass towers. Still, the developments raise questions about preserving the area’s economic and social diversity. About half of the FLATS acquisitions in Uptown and Edgewater have tenants who will need to move out before renovations start. Though it’s not the developer’s legal obligation to help displaced people find new housing—the only requirement is a 30- or 60-day eviction notice—Michael’s team sees it as a social responsibility. FLATS transitions coordinator Sherri Kranz, who has 32 years of experience in Chicago real estate, says she meets with every tenant who’ll talk to her to try to develop a relocation plan. Of course, it’s not that easy. Part of the problem: FLATS is dismantling SROs, and nobody’s building more. ONE, an Uptown nonprofit that champions affordable housing, is concerned about the number of people who may be forced out of the neighborhood. The organization requested that Michael keep a portion of FLATS housing priced at or not much above what current SRO tenants are paying, which can be as low as $475 per month, perhaps using the help of government programs. Michael says while he doesn’t like the term affordable housing—it’s tricky, he explains, because the city, state and federal governments all have different definitions of affordable—he is willing to work with Lynch-Dungy to make FLATS what he calls “approachable” to longtime Uptown residents. In the meantime, to help tenants find new homes, Kranz turns to housing subsidized by local or national nonprofits, such as Chicago’s Heartland Alliance. She helps tenants navigate the application process—sometimes even paying their application fees or driving them around to look at units. Former Wilson Tower residents Adelaide Meyers and Porscha Gayfield wanted to stay in Uptown, but—even with the help of Kranz and several social-service organizations—they couldn’t find anything before their deadline to get out of the building, Gayfield says. They used Craigslist to find a two-bedroom in Rogers Park for $865 a month plus gas and electric, which they can only afford because Meyers’s dad is paying a third of the rent. Back at Wilson Tower, Michael and I descend the stairs of a rickety fire escape—the only way, for now, to get up and down from the rooftop, a beautiful space that boasts views of the lake, skyscrapers and the iconic Aragon Ballroom sign. Michael plans to turn it into a party space for residents. As we wait on the 12th floor for the elevator, a man and woman come out of a door down the hall, holding hands. The man moves to push the button to the elevator; we tell him we’ve already called it. “It won’t work,” he says politely, leaning onto the button. “You have to hold this in or it won’t come.” They moved to the building about five or six months ago, they say. If they can afford it, they’d like to move back in when the renovations are finished. They ask when that will be. Michael says not too long—maybe 11 months. They should talk to Sherri, he adds. They nod as the elevator, which can barely fit all four of us, wheezes its way to the ground floor.